Do Brown Recluse Spiders Reign by Terror? About a decade ago, a pest control manager emailed me saying he had a big problem. At six military facilities he oversaw, strange wounds were popping up on people’s skin. The facilities’ doctors diagnosed them as spider bites. But the manager had searched throughout the barracks, and he couldn’t find any spiders. He was at his wit’s end, and wanted to know if there was anything I could do to help. I’m an arachnologist, and my specialty is the brown recluse spider—a creature that hides in cracks and crevices. Sure, I told him. Forget the spiders, and have the doctors check those afflicted for a bacterial infection instead. It turned out they had methicillin-resistant Staphylococcus aureus (commonly known as “MRSA”). 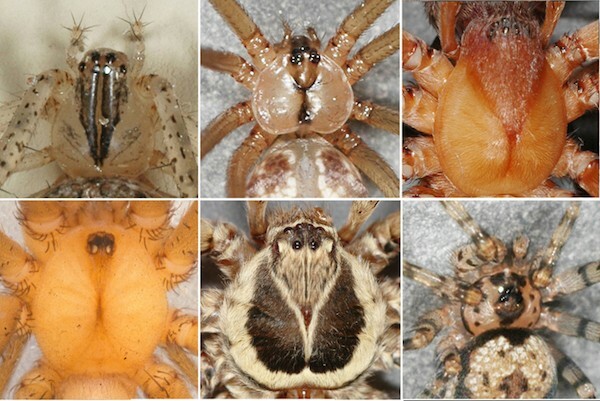 People are terrified of brown recluse spiders when often they shouldn’t be. In the almost 25 years I’ve been studying the creatures, I can’t tell you how many times other spider experts and public health officials have shared stories with me about giving talks around North America and asking their audiences, “Who knows someone locally who claims to have seen or been bitten by a brown recluse spider?” Typically, one-third to half of the crowd—whether it’s a few dozen or a few hundred people—raises their hands. But the majority of these talks take place nowhere close to where brown recluses are known to exist. The recluse, whose scientific name is Loxosceles reclusa, is a medium-sized spider, about three-eighths of an inch in body length, with tan legs and an abdomen that varies in color from a light cream to dark brown depending on what it has been eating. 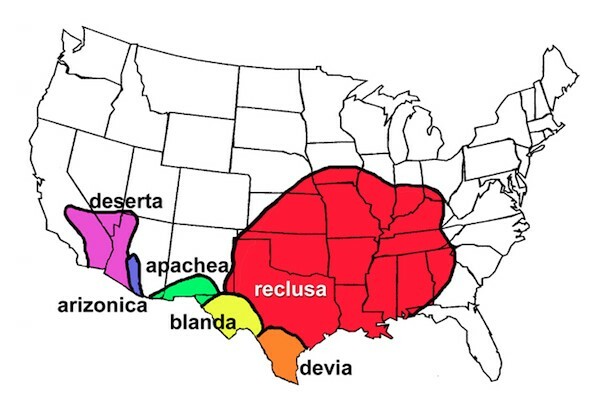 It’s found throughout the central American Midwest, between Nebraska, Ohio, Georgia, and Texas. Overall, there are about 17 states where the sustained presence of the spider has been verified. It is not impossible, but still very rare, to find them elsewhere. But people still believe they can be found pretty much anywhere. Harmless brown spiders are frequently misidentified as brown recluses around the country. Often this happens just because the creature is brown and has eight legs. Brown recluses are especially known for the dark brown violin-shaped marking many have on their cephalothorax—the body part to which the legs attach—but many other spider species have similar markings in the same area, which people tend to creatively misinterpret as violins. Sometimes people find creatures that aren’t even spiders, but beetles or other harmless arthropods. In the regions of America where brown recluse spiders actually do exist, people have every right to be cautious. Brown recluse bites can cause significant damage to skin. If the venom causes a reaction throughout the body, a bite can be fatal, especially in small children. But these are extreme cases. Only about 10 percent of bites have moderate effects on their victims. Fewer than one in 100 becomes systemic. Medical advice for most wounds is “watchful waiting,” because many recluse bites heal very nicely without medical intervention. I’ve known several Midwest residents who successfully raised kids in recluse-infested homes without incident. 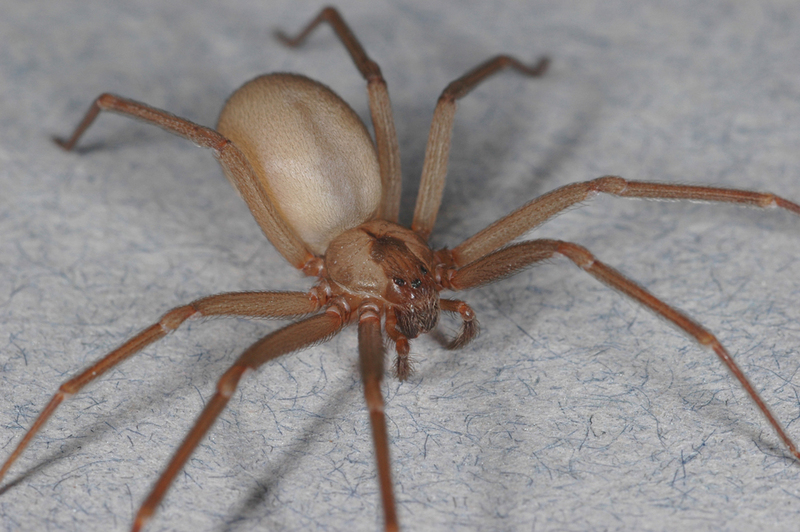 One family in Kansas collected more than 2,000 brown recluse spiders in their 19th-century house in six months, yet lived there for 11 years before someone received a bite. The wound only caused a finger to turn red and swell a little. So why do so many people break into a sweat at the thought of the coin-sized creature when, statistically speaking, they’re far more likely to get killed by a bolt of lightning? There are many aspects of human psychology that cause creepy crawlers like the brown recluse to bury themselves into peoples’ minds. Undoubtedly there’s an element of fear of the unknown—the monster that could be hidden in any hole or crevice. And brown recluses are such attention-grabbing, almost mythic creatures. As I frequently point out to audiences at talks, you don’t tell acquaintances when you get a bacterial infection, but you do tell everyone when you think you have a nasty spider bite. Physicians have contributed to the misperception that brown recluses lurk in every dark corner, too. Misdiagnosis of skin lesions as brown recluse bites has been a chronic, widespread problem in North America since 1957, when the first article was published definitively proving that brown recluses cause them. In the rush to provide new information, subsequent medical authors relied on circumstantial evidence of the spider’s involvement in incidents, reporting bites in areas of the country where it didn’t live. The myth of the brown recluse’s ubiquity isn’t just problematic because it causes unnecessary fear. It also poses a real danger. Unlike most recluse bites, some conditions with similar symptoms actually are fatal—or, at the least, result in permanent damage. Conditions that are confused with recluse bites include Lyme disease, leukemia, bacterial infections like MRSA, diabetic ulcers, and cancer. When a lesion is misdiagnosed as a recluse bite, it allows a person’s actual condition to continue unrestricted. Thankfully, after decades of crusading for better awareness of just how rare brown recluses are found outside of the central Midwest, I’m finally starting to see my work have an effect. Whereas 10 years ago I received hate email from people telling me that I was wrong because my research conflicted with their physician’s diagnosis, now medical guides caution doctors to consider many possibilities before declaring a skin lesion as a bite. Some doctors have told me that I’ve changed the way they diagnose skin lesions as spider bites. Even the media is beginning to come around. While there are still plenty of questionable local reports of bites around the country, publications including Wired and Slate have cited my research to help dispel fears of recluses. Knowing that people are starting to get the message that the brown recluse is far more a scapegoat than a monstrous killer is very satisfying to me. And it should allow you to sleep well at night, too. If you don’t live in areas of the country with proven brown recluse spider populations, calm down. You’ve probably been misidentifying a harmless creature. And if you live in indigenous recluse areas, take precautions to minimize spider bite possibilities, but don’t let it consume you. There are many more dangers in life than recluse spiders. Now, at least you have one less thing to dread about the world. Rick Vetter is a retired research associate from the entomology department of the University of California, Riverside. He has been working on brown recluse spider issues for nearly 25 years and has recently published a book, The Brown Recluse Spider. Buy the Book: Cornell University Press, Skylight Books. *Photos courtesy of Rick Vetter.